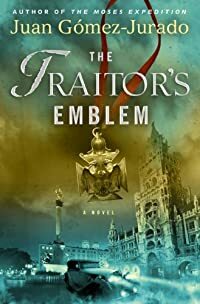 The Traitor's Emblem by Juan Gomez-Jurado: Synopsis and Online Purchase Options. Munich, 1919. After his family fall into disgrace, 15-year-old Paul Reiner and his mother work as servants in the palace of Baron Von Schroeder. Unhappy and full of despair, Paul dreams of the heroic father he never knew. But one night, seconds before committing suicide, Paul's cousin reveals a terrible secret. Paul's father didn't die in the First World War, as he had always been told. He was killed by someone very close to him, and for unclear reasons. This discovery turns Paul's world upside down and from that moment, Paul sacrifices everything to discover the truth behind his father's death, even his love for Alys Tannenbaum, a Jewish photographer who helps him on his dangerous pursuit. Together they fight for their love, the truth behind Paul's family and the vengeance of Paul's half brother who rises to become a high-ranking Nazi and on Hitler's orders and successfully infiltrates the Mason organization to root out their Jewish members.